Is the iPod Coming to an End? | Johns iPhone | iPhone Blog with Help, News, Tutorials, Tricks, Tips, and More! Home » Apple news » Is the iPod coming to an End? Is the iPod coming to an End? 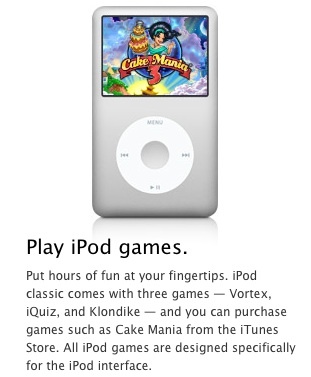 So it would appear that the time might have come for the iPod to take it’s dip out of the limelight. While iPod touch sales are still very high, it is more due to the gaming and social networking aspect of the iPod than the idea of listening to music on the device itself. With the plethora of Apps available to someone who owns one of the iOS devices, the devices that are able to run such Apps, are the ones who are still selling well. iPod classic and Shuffle sales are dwindling greatly. Just being able to listen to music isn’t good enough anymore. Despite the fact that the iPod is what saved Apple from the brink of bankruptcy back in 2001, the device just isn’t popular anymore. In addition to this, high capacity iPods just don’t make much sense anymore, with the coming of iCloud, it just doesn’t add up anymore for someone to have a lot of music in stored locally, when they could simply have it in the cloud. The idea of storing things locally anymore just isn’t as feasible as keeping it in the cloud. The writing on the wall appears to be the fact that Apple removed the Click Wheel game section from it’s library on iTunes. There have been no new games in the store since February of ’09, but the fact that you can’t access them at all anymore seems to be indicative of what is being prepared by Apple in the near future. Will the iPod survive Tuesday’s announcements? Or is it going to be something else to bite the dust? I think this is the best smartphone and Iphone will replace theIpad.